UPDATED CasinoJefe Review! Get a Welcome bonus package and a whole lot of free spins, MEGA spins, and SUPER spins. Deposit €25 to get the Welcome package. CasinoJefe is an established online casino that is owned by LuckyDino Gaming Limited. This company also owns the well-loved Lucky Dino Casino. CasinoJefe is a NetEnt casino and offers players a wide selection of top casino games. If you are looking for an innovative online casino, then go on the CasinoJefe adventure. Play, win, and get rewarded. 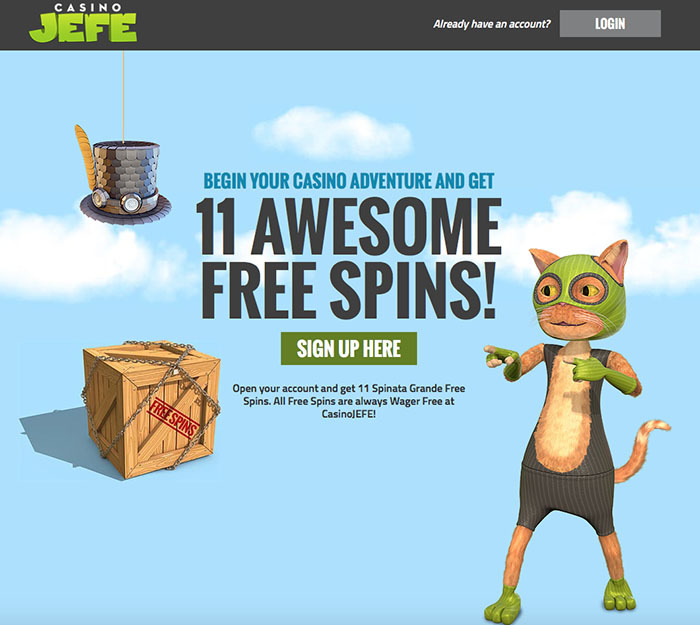 Look at the CasinoJefe review below to get an idea of the Welcome package and free spins deals available. The CasinoJefe review also introduces you to the various ways that you can get rewarded at CasinoJefe. Free Spin Bounties – once you have signed up at the casino and have logged in to play, your bounty meter starts to fill up. Once you have completed milestones, your bounty meter fills up and you are rewarded with free spins, mega spins, or super spins. 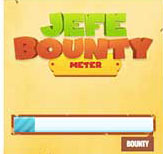 Jefe Jackpot Wheel – as soon as you begin playing at the casino, your Bounty Meter starts to fill up. 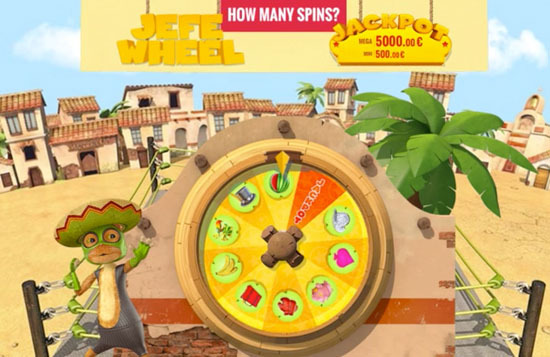 Once the meter is full, you’re able to spin the Jefe wheel and enjoy free spins and cash prizes. You can also stand a chance to win mini and mega jackpots. 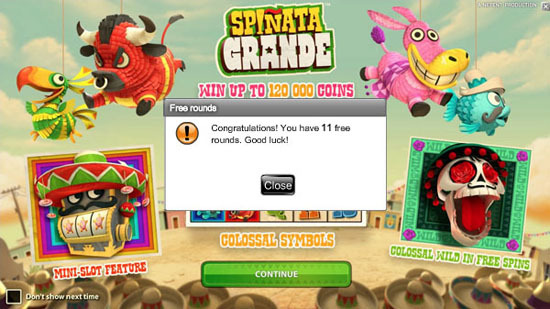 Simply sign up for a casino account at CasinoJefe, log in, and open up the Spinata Grande slot to receive your 11 No Deposit free spins waiting for you. All new players can take advantage of the Welcome Bonus Package at CasinoJefe. There are three deposits that form the Welcome package. Note that Super Spins are valued at €1 per spin and Mega Spins are valued at €3 per spin. 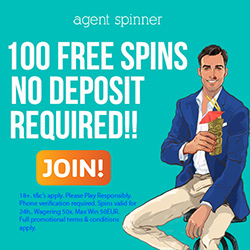 There are no wagering requirements on the free spins, SUPER SPINS or MEGA SPINS. Whatever you win from any free spins will be real money. If you choose to take a deposit bonus, you will need to wager the bonus amount 50x before a successful withdrawal can be processed. Different games contribute to wagering requirements differently. All video slots carry a 100% contribution to wagering, except the following: Bloodsuckers, Simsalabim, Kings of Chicago, Pure Platinum & Zombies which contribute 50%, Jackpot slots – 50%, all table games, classic slots and video poker – 0%. Other games – 0%. Players from the following countries are restricted from playing at CasinoJefe: USA, France, and Denmark. The deposit options at CasinoJefe are: Visa, Mastercard, Skrill, Neteller, Instant banking, PugglePay, Moneta, POLi, and Paysafecard. The withdrawal options at CasinoJefe are: Visa, Skrill, Neteller, Instant banking, and Moneta. The transaction time for withdrawals using Instant banking and Visa take 1 to 5 working days. The transaction time for withdrawals using Skrill and Neteller take up to 24 hours. You can deposit using the following currencies: EUR, USD, GBP, SEK, NOK, and RUB. English, German, Finnish, Swedish, and Norwegian. For any queries, contact customer care via Live Chat.